Emily Verschoor-Kirss is a Nashville-based saxophonist and multi-instrumentalist who has developed into a highly motivated, contemporary-minded performer. She displays an intense drive towards furthering the role of the saxophone in every genre of music. As she continues pursuit in developing all aspects of saxophone performance, she maintains a deep-seated passion for personal artistic development and growth. Her research interests include contemporary improvisation, popular music, and art music for the saxophone. She hopes to build a foundation upon which the saxophone becomes a regularly used instrument in the popular and commercial music industries. She maintains a busy schedule as a teacher and guest clinician for the Metro Nashville Public Schools and Williamson County School District alongside her blossoming career as a performer in the Nashville area. 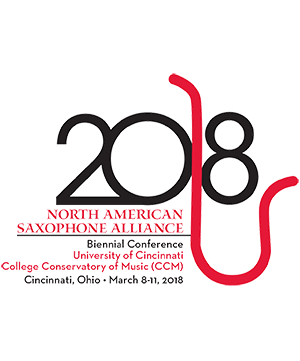 Griffin Campbell Alto Saxophone Griffin Campbell has performed throughout the US and in South America, Europe, and Asia, including p . . .
Jessica Voigt-Page Alto Saxophone A multi-dimensional talent, and multi-passionate artist, Jessica Voigt-Page balances a varied career . . .
Gail Levinsky Alto Saxophone Gail B. Levinsky has performed in the US, Canada, Europe, and Abu Dhabi (UAE). Recent performances i . . .